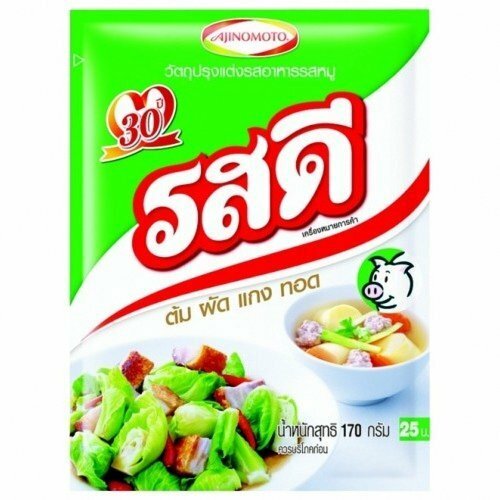 Ros Dee Seasoning Powder (Pork Flavour) 170g. - For stir-fried,Curry soup Seasoning Considered a component of foods containing one or more spices. And other ingredients. When added to food to enhance taste of food is delicious and very juicy. 5 bags (50 envelopes) 100 Thai Herbal Products.Foot Massage to Relax. Mega We Care iicare 30 cap. Lolane Natura Hair Treatment for Dry & Damaged Hair 250g. Palmers Cocoa Butter formula Massage Cream for Stretch Marks 125g.